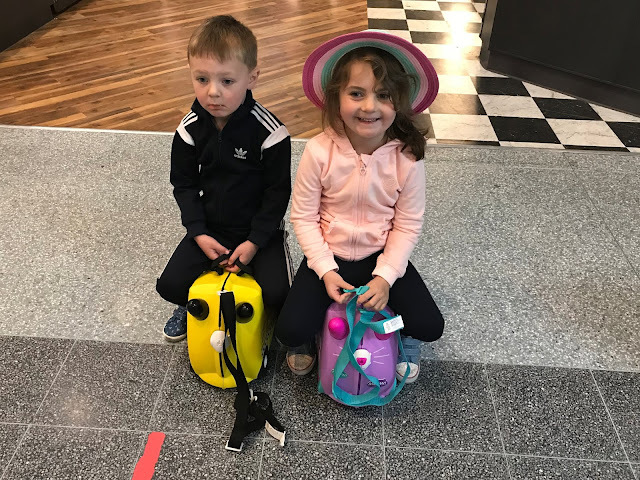 At the start of May, we went on our very first family holiday abroad as a family of five and we had a brilliant time. As it was the little twos first time on a plane and going abroad we wanted somewhere that was a short flight away and where the weather would be sunny but not too hot, so we decided to go to the beautiful island of Majorca which is just a two and a half hour flight and would not be too hot at this time of year. We booked Pirates Village hotel on an all-inclusive basis with Jet2 Holidays, as we had read so many great reviews on TripAdvisor and it looked like a really family-friendly hotel that was ideal for young children. We flew with Jet2 and despite the really early start (we left for the airport at 3.30am) the flight there was fine. It was the first time I had flown with Jet2 and it was much better than I expected, Jacob loved being on the plane and he was so excited when we took off. We arrived into Palma at around 10.00am and after a long wait to pass through security and to locate our bags we were soon on the transfer bus and on our way to the hotel. Pulling up outside the hotel the kids were amazed as the hotel is all decorated pirate like with giant skulls, treasure chests and maps - I had never seen anything like it before. We were quickly checked in and shown to our room which was a ground floor terrace room we had paid a bit extra for, it was so worth the extra money though as we were close to the children's pool and had a private garden to sunbath in. Our room was ok for a 3* hotel, it was really clean and it had a large bedroom with a huge bed and lots of storage, a basic but clean bathroom, a small basic kitchen/ living area with camp and sofa beds for the children which lead out onto our gated garden area. We were all exhausted on the first day but we had a little wander around the local area to buy floats for the pool and we spent the afternoon in the pools which the children adored. 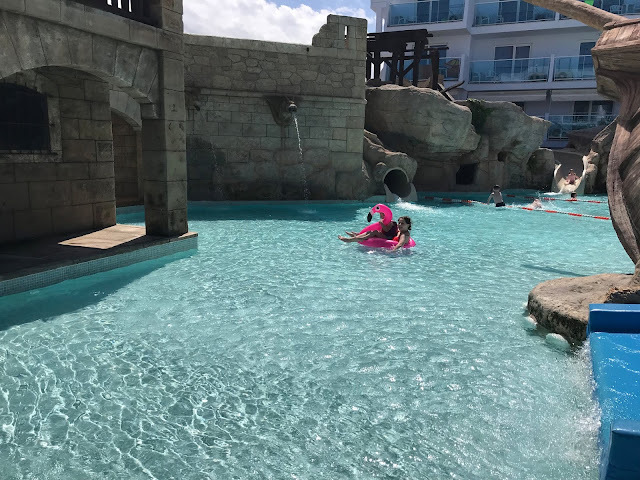 The pools were a highlight of the holiday for all three children, they had a big pool with a pirate tower and plank in the centre and the pool was divided into sections of varying depths - it was freezing though! 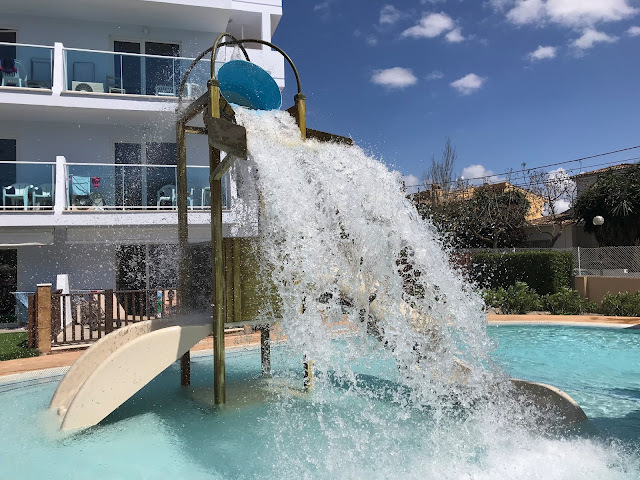 They also had a splash pool with a water bucket, two small children's slides, a big blue slide four people can go down at once and two spiral slides. 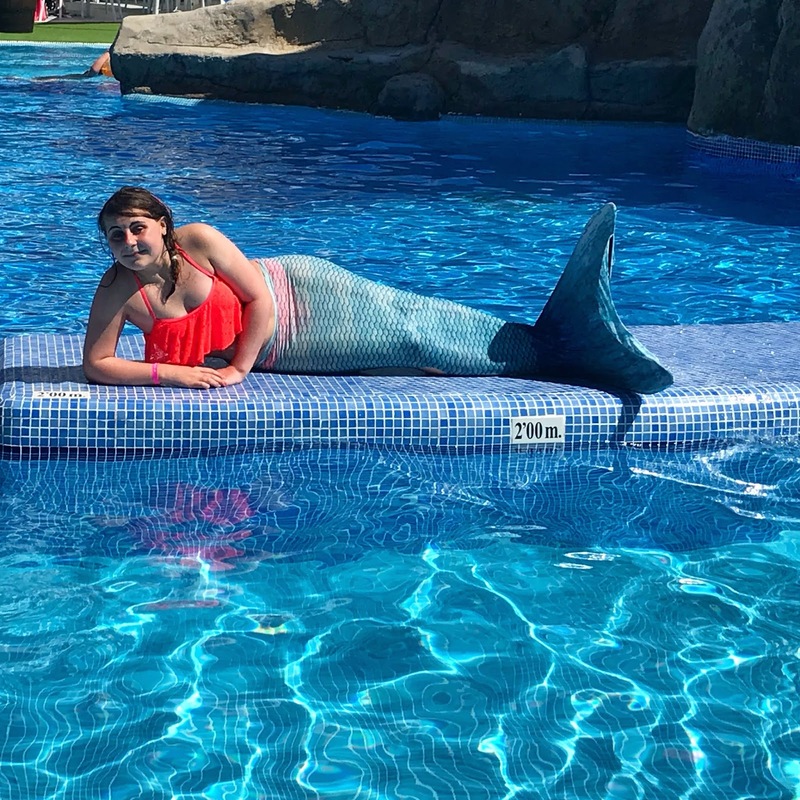 They even offer mermaid lessons for children who can swim for ten euro and which my 15-year-old took part in. We spent most of our time in the splash pools as it was shallow enough for my three-year-old to stand up in and they just loved the slides. Jacob spent most of the week whizzing down the slides with his big sister or getting pushed around in a little inflatable boat with a water gun soaking everyone, he was in his element. Sophia loved being in the toddler pool and learning to swim and Chloe spent the week floating around in a giant pink flamingo. The little two went to the kids club a few times, which was super safe although they didn't stay for long as they just wanted to be in the pool all of the time. They had mini-discos and entertainment on six nights a week, Jacob loved the disco and has been singing all the mini-disco songs non-stop since we returned home. The entertainment didn't start until 9pm so most nights we ended up putting the children to bed and then sitting on our terrace watching the show with a cocktail from the bar. We went all inclusive and it was so worth it for drinks and ice cream for the children, they loved helping themselves to mini pots of whippy ice cream or drinks of slush from the machines. I was dreading buffet style dining as I am not a fan and refuse to visit all you can eat buffet type restaurants but I was surprised at just how nice the food was here. They had a snack bar where you could order freshly made burgers and toasties etc. The main restaurant served breakfast, lunch and evening meal and they would cook fresh steaks or chicken breasts for you and they had a children buffet for the children with pizzas, nuggets, chips, pasta etc. Every day the food was different on an evening and they had a good selection of food available. 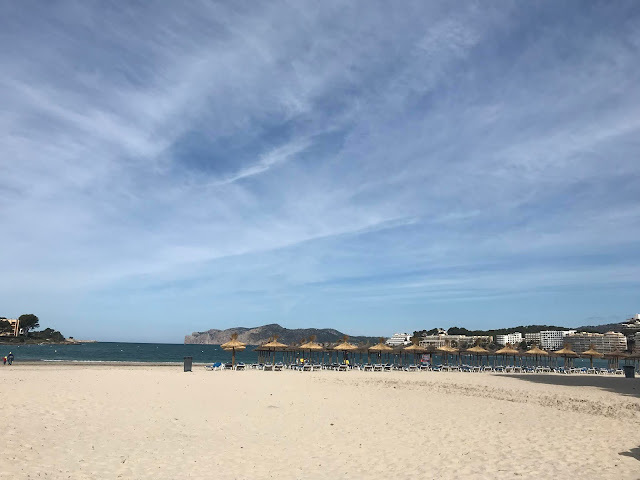 The hotel was located in a quiet area but it was just a five-minute walk to the beach and the shops and bars and about a twenty-minute walk to the main strip in Santa Ponsa. 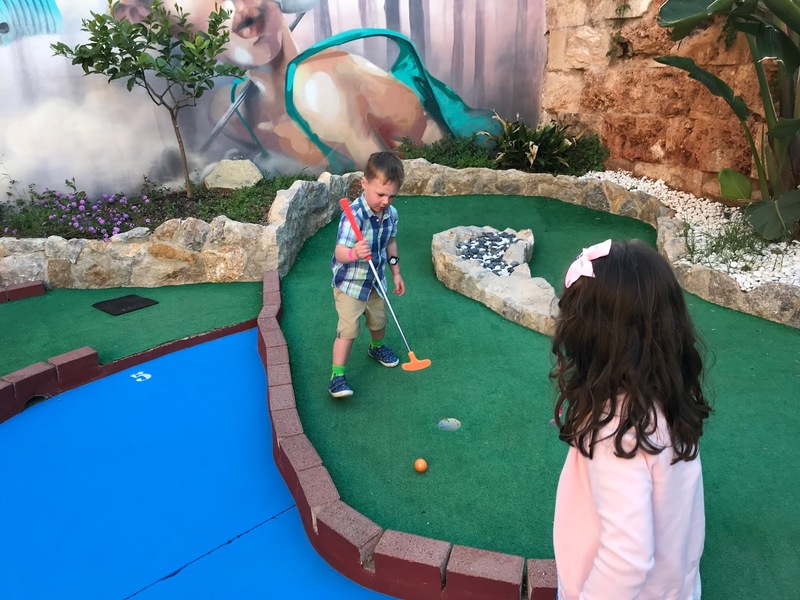 We really liked Santa Ponsa as we felt safe with the children and it was not too big, meaning we could easily walk to wherever we wanted to go. 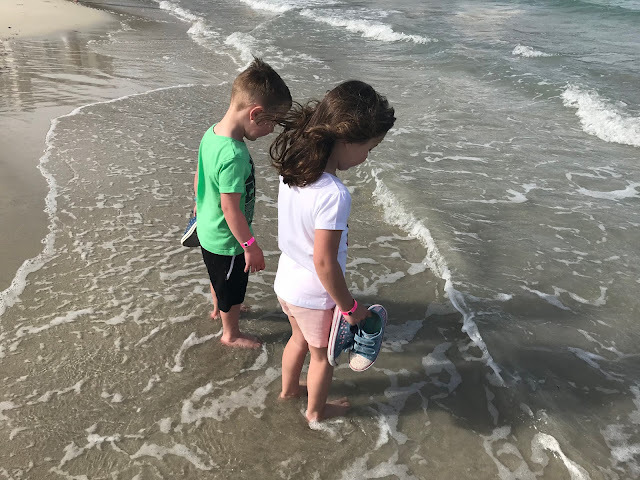 We spent a lot of time on the beach as it was ideal for young children to paddle in the shallow, clear blue sea which was lovely and warm (it was a lot warmer than the hotel pool). We had planned on going on lots of day trips but we never got around to it as we spent most of our days wandering around Santa Ponsa, paddling in the sea or splashing around in the pool. We did go to mini-golf one night which was good fun for the whole family. We went to a lovely bar called Coco Bay for the most amazing cocktails too, I had a Twister one which looked and tasted just like a twister lolly - so good! There were so many family-friendly bars and places to eat around Santa Ponsa that we did eat out a few times and we also did quite a lot of shopping, mostly my teen who brought lots of jewellery and leather goods and the girls got their hair braided. 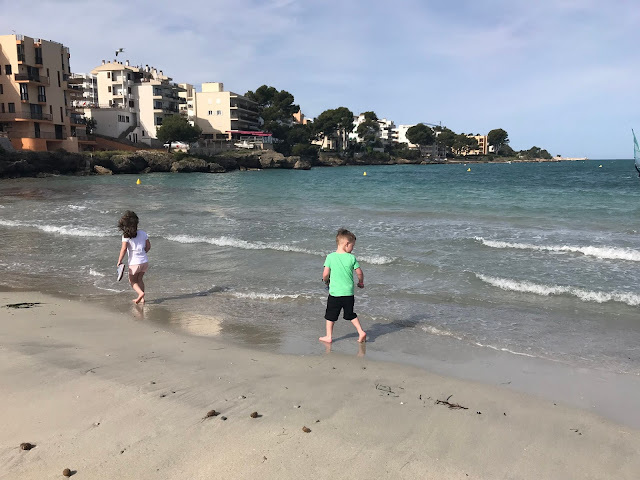 We had a bit of a routine of waking up around 8am - which is a huge lie in our household as the children are early risers, we would then head to the restaurant for breakfast and then we would spend our mornings visiting the beach and shops in Santa Ponsa, often stopping for icecreams along the way. Afternoons would be spent in the pool having fun and I even had the odd few hours where I sunbathed, bliss. 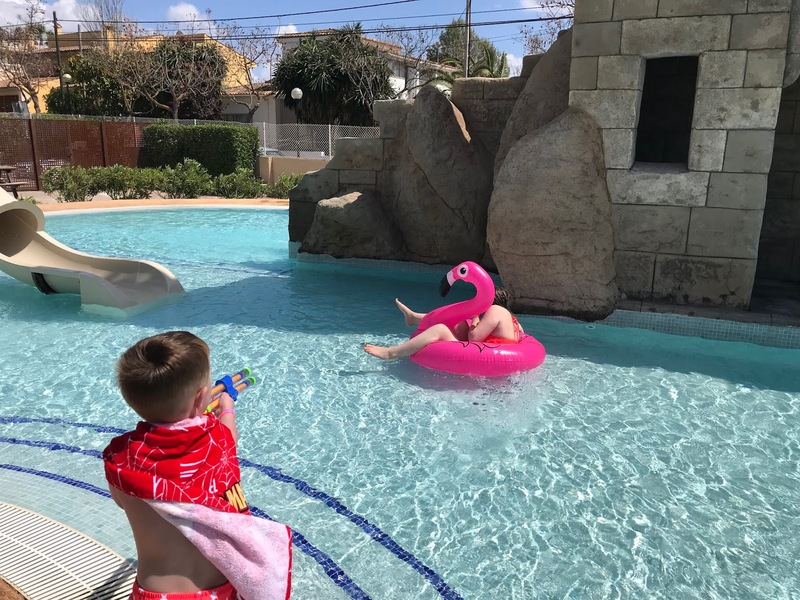 We got a surprise on the second day of our holiday as we were in the pool with the children and the next thing we know the other halfs dad is there! He had booked the same hotel as a surprise so he could spend time with the children, poor Jacob burst into tears as he thought he had come to take him home. Before we knew it the week had whizzed by and it was time for us to pack our cases as the holiday had come to an end. 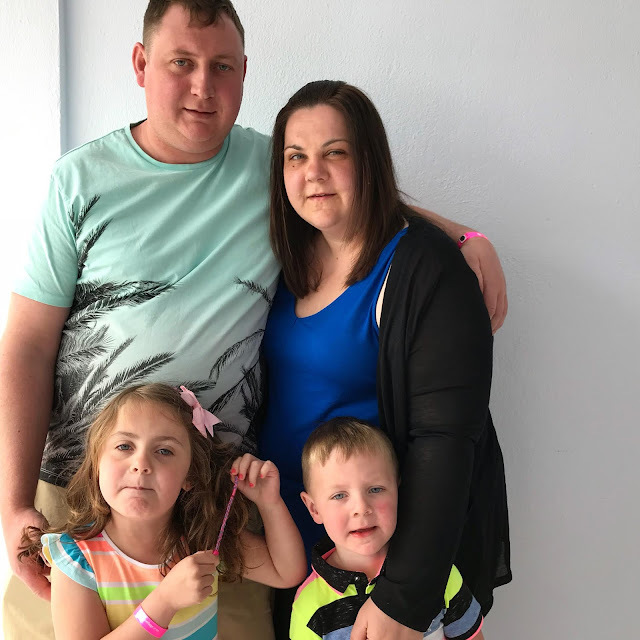 I think we were all a little bit sad to be leaving as we had such a lovely week, it was so nice spending time together as a family without work and school and everyday life getting in the way. I am glad we booked Pirates Village as it was the ideal hotel for a family holiday with young children as the hotel is so family friendly. 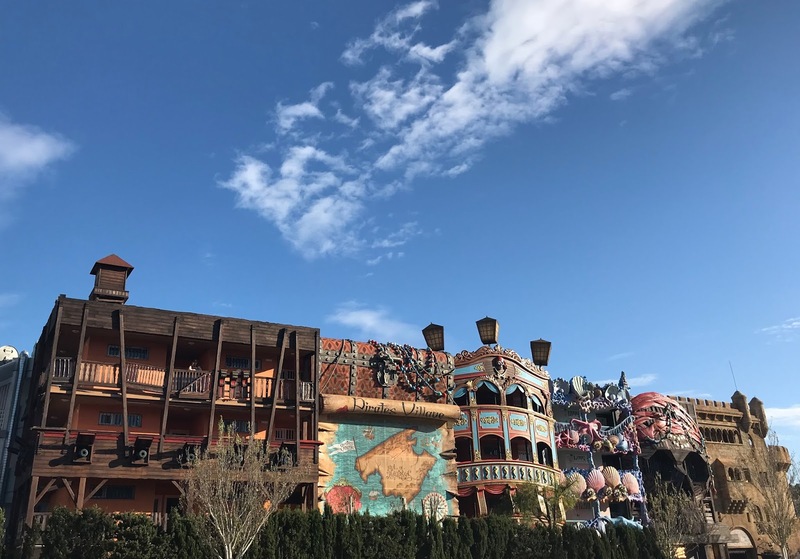 Yes, the hotel is pirate themed with the pirate decor, pirate night-time shows and the Sunday pirate attack but it is not over the top and you can have a relaxing holiday if you wish. It was in a quiet area but was just a short walk from the beach and shops. The hotel only had one entrance and exit with security on the door as only guests can enter and it felt safe as it is only a small hotel. All the staff were super friendly, especially the customer service lady and entertainment staff and the whole place was spotless with cleaners going around cleaning the hotel nonstop. I think we will definitely return one day as we really did have a lovely time and I have always had a soft spot for Majorca. 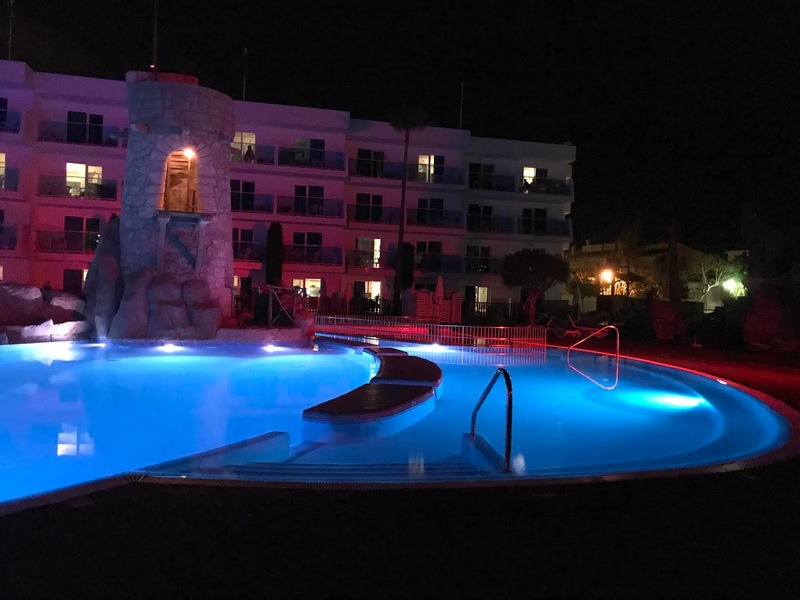 I will be posting a proper review of the hotel later in the week along with a few more holiday related posts as I have so many photos and videos of our holiday that I still have to sort out. 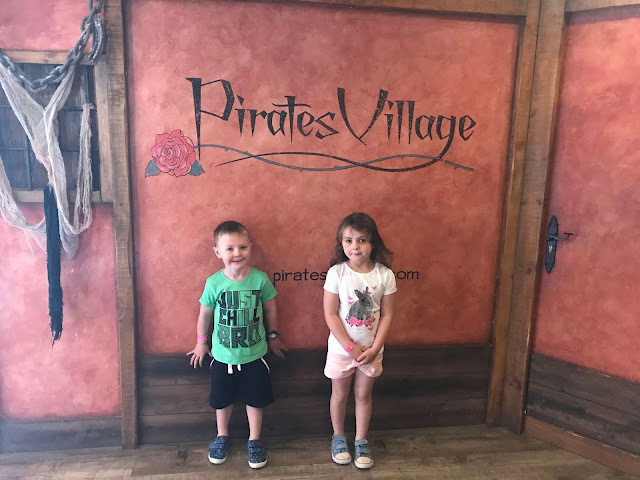 I think we all have a huge case of the holiday blues at the moment and if we didn't have a wedding to pay for next year I would definitely have rebooked another week to Pirates Village later in the year as my children enjoyed it so much. We paid for this holiday ourselves. We've just pre-booked our seats today. Super excited! Looks like you had an amazing time! 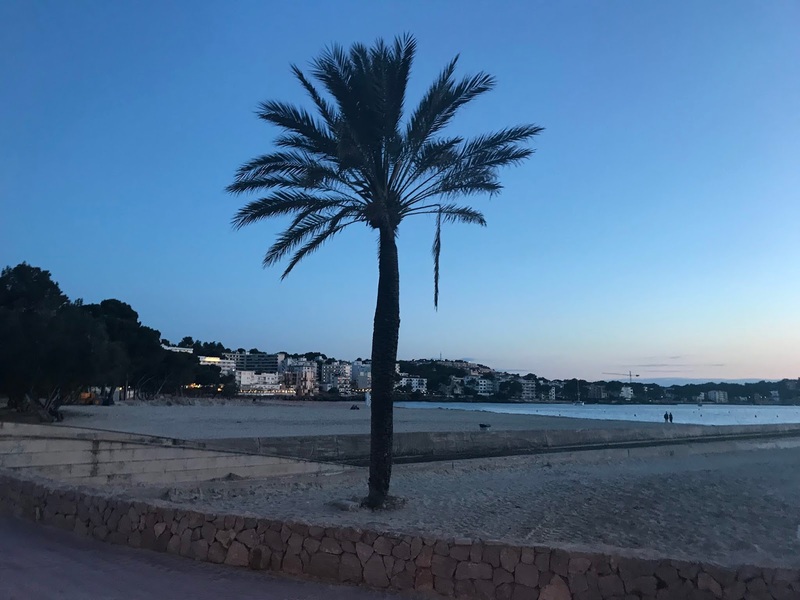 I visited Majorca as a child and have always wanted to go back. It looks like you had an amazing time the beach looks absolutely gorgeous! 8am is definitely a lie in!!! I loved Majorca, such a nice place for kids. Your little ones are just the right age to have their first holiday abroad and I bet they loved every minute. My two were always happy with a pool or beach! I've often wondered about Jet2 so nice to know they were better than your expected! Sounds like you had a brilliant time. Santa Ponsa was where I went on my first ever holiday abroad so you've taken me back 20 years! Oh wow it looks like you had an amazing time - that pool, the blue sky and quality family time is just the best! I've never been to Majorca before, but the Pirates Village sounds awesome. My boys would love this! That looks like an AMAZING hotel, my boys would love it - and those pools sound fantastic, I'd never be able to get them out (not sure about the freezing water though!) Sounds like you had a really lovely time! Looks like you had a lovely holiday. The pools look fab and it seems great for the kids. What a lovely first holiday abroad as a family. Looks like the perfect place. My daughter would love to have a go at the mermaid swimming. Wow love the photos. Looks like it was an amazing holiday. It looks amazing! We've never been to Majorca but I'd like to!